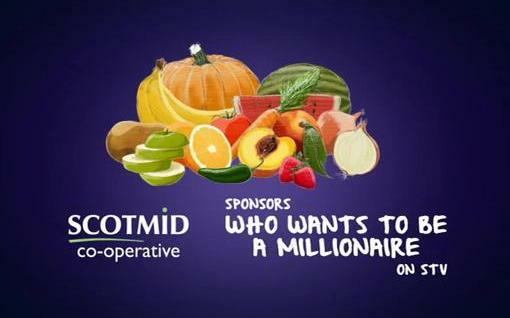 Scotmid has announced a new sponsorship of the last ever Who Wants to be a Millionaire series, which is due to launch tonight (28th January 2014) with three final episodes on STV. Sir Chris Hoy, comedian Kevin Bridges and Countdown’s Rachel Riley are among the celebrities who will appear as guest contestants. Who Wants to be a Millionaire has been on screen for more than 15 years. Scotmid will air the four 10-15 second ads before and after commercial breaks during the final three shows on 28th January, 4th February and 11th February on STV.